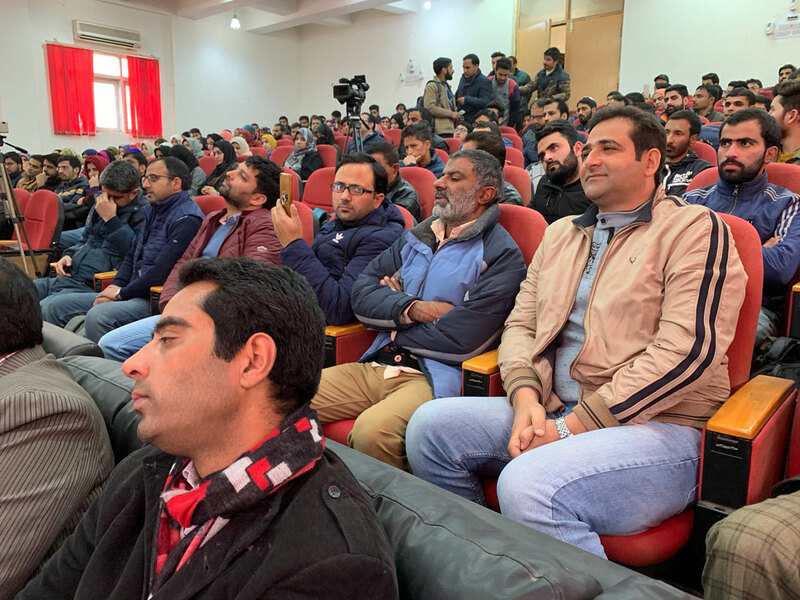 To pay respects and homage to Hazrat Imam Hussain (AS) and other martyrs of Karbala one day seminar on ‘Values of Karbala’ was held at University of Kashmir on Thursday. The seminar started with the recitation of verses from Holy Quran followed by Naat of the Holy Prophet (S. A. W. W). Justice (Retd.) Bashir Kirmani and Syed Liyaqat Moosvi were the key speakers on the occasion. Vice chancellor KU, Prof. Talat Ahmad said that University feels proud to have been organizing this seminar since 2014. 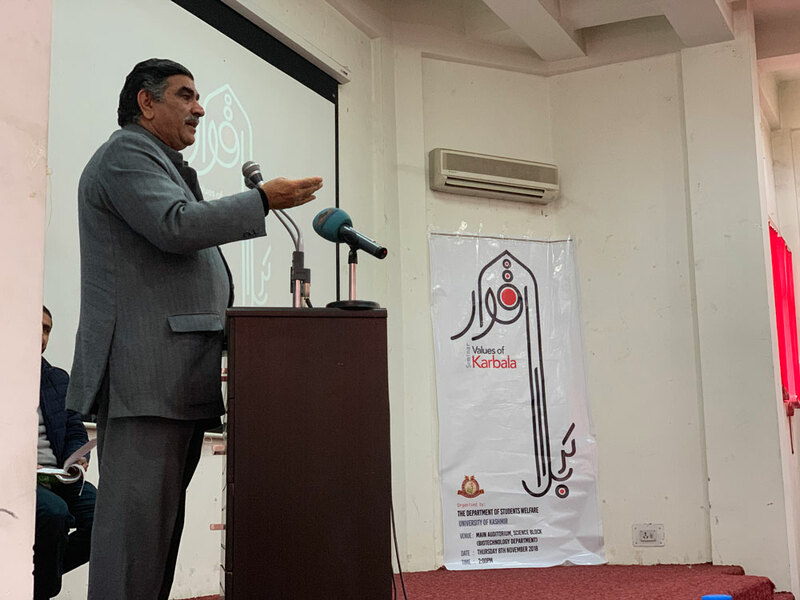 Prof. Ahmad gave a brief context of Karbala after delivering a welcome address. 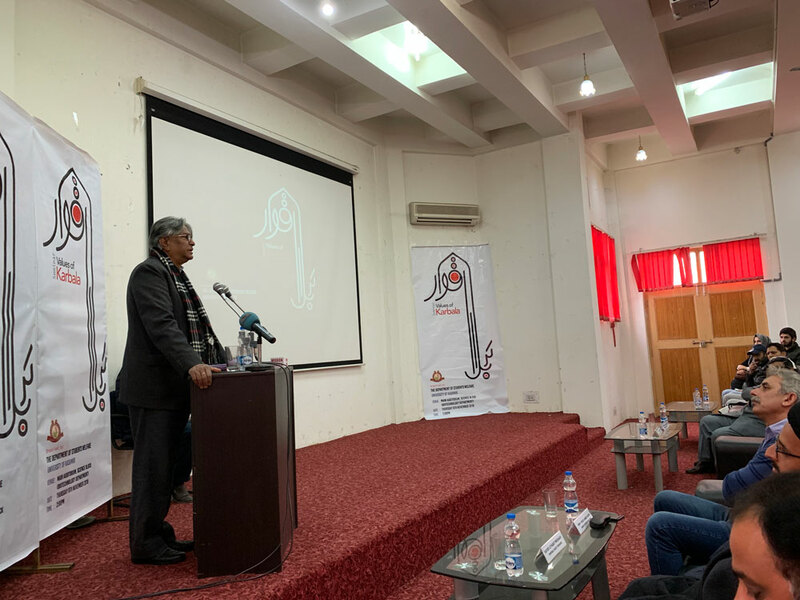 Justice (Retd) Bashir Ahmad Kirmani in his address spoke on the historical and philosophical standpoints of Karbala. 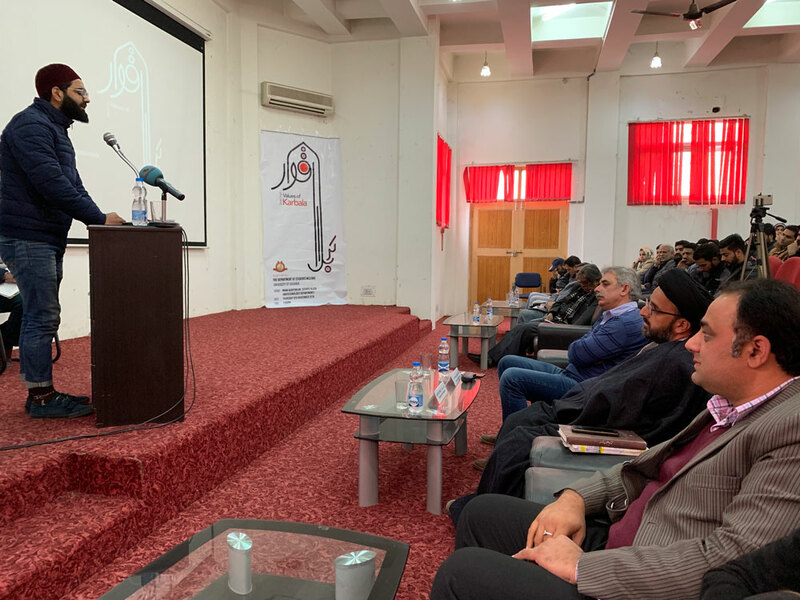 In his remarks noted Shia scholar Syed Liyaqat Moosvi highlighted the importance of sacrifice rendered by Imam Hussain (a. s) and the martyrs of Karbala. KU gave vote of thanks and mentioned events like this should go every year in bigger way because to understand Imam Hussain is need of the hour. 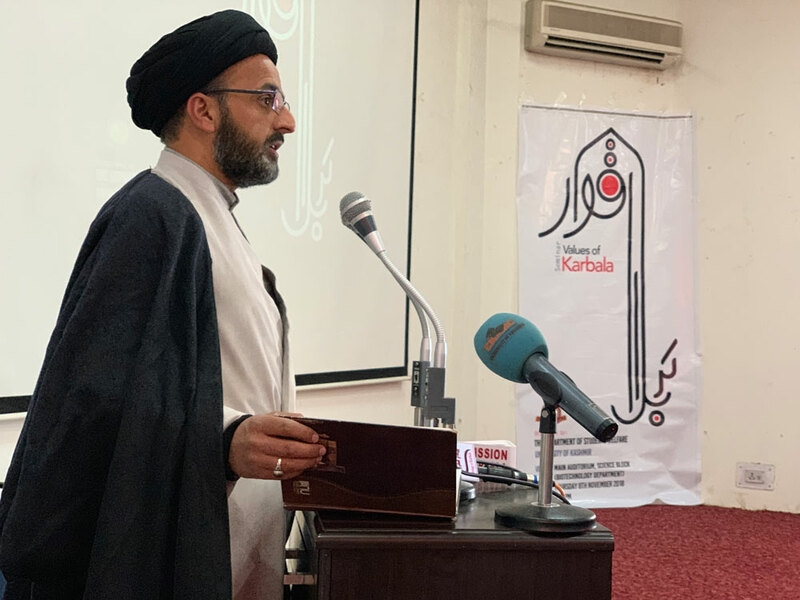 The speakers said the message of Karbala is as relevant today and will be relevant in coming time as it was at the time of Imam Hussain (a.s). It was also stressed by speakers that Martyrs of Karbala proved in action to stand up for a righteous cause regardless of consequences. The seminar was attended by students, scholars, faculty members from various departments of the varsity and people from different walks of life. 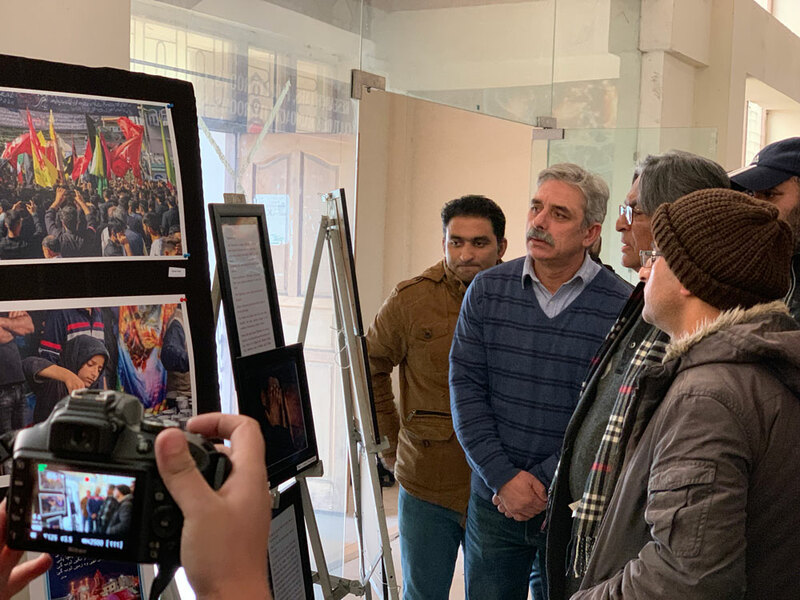 Student artists and creative people also paid tributes to the martyrs of Karbala through a photography and calligraphy exhibition outside the auditorium. Besides Prof Raies Qadri DSW KU other faculty members from University and outside were also present on the occasion. Imam Hussain, the grandson of Prophet Muhammed, was martyred along with 72 of his companions while fighting against the army of Umayyad Caliph Yazid in the battle of Karbala.